Cornus swingii Manchester, Xiang, Kodrul and Akhmetiev, Holotype from Horse Creek, Montana, UF 18969-38375. 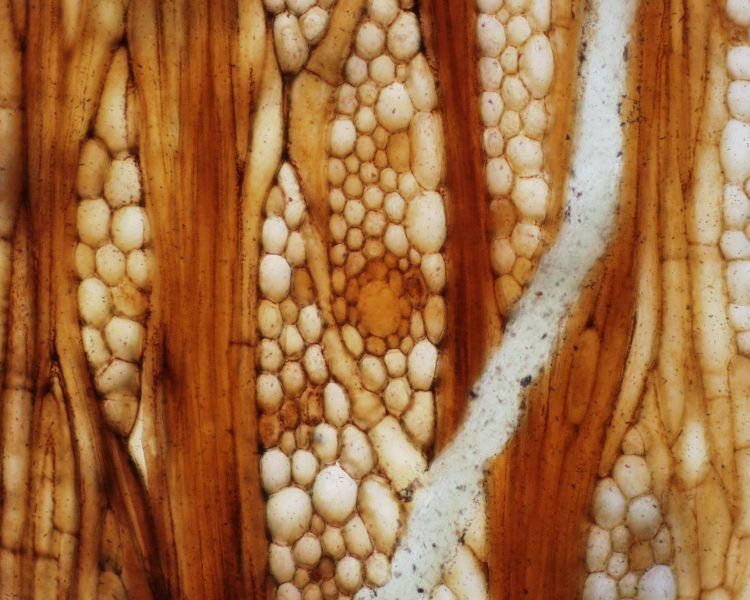 Detail of leaf impression surface with well-preserved outlines of the trichomes. Manchester, S.R., Q. Xiang, T. M. Kodrul and M. A. Akhmetiev. 2009. 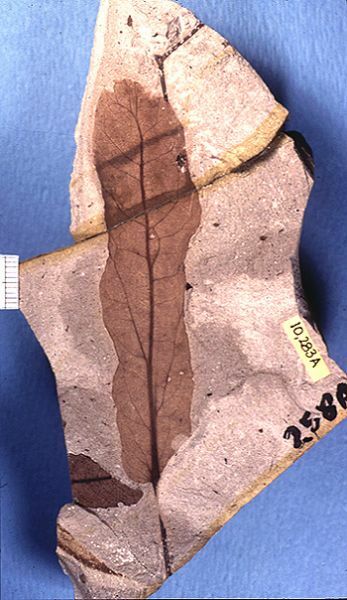 Leaves of Cornus (Cornaceae) from the Paleocene of North America and Asia Confirmed by Trichome Characters. International Journal of Plant Sciences, 170 (1): 132–142. Fig. 2J. Cornus swingii Manchester, Xiang, Kodrul and Akhmetiev, Holotype from Horse Creek, Montana, UF 18969-38375. An overall view of the leaf with nearly complete lamina and petiole. Manchester, S.R., Q. Xiang, T. M. Kodrul and M. A. Akhmetiev. 2009. Leaves of Cornus (Cornaceae) from the Paleocene of North America and Asia Confirmed by Trichome Characters. International Journal of Plant Sciences, 170 (1): 132–142. Fig. 2I. 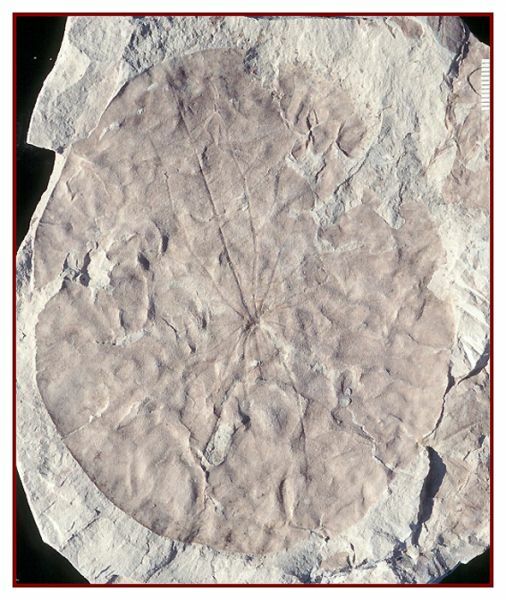 Brasenites kansense Wang and Dilcher, an aquatic angiosperm leaf from the Hoisington III locality, Kansas. UF15706-14806. Note suborbiculate leaf shape, entire leaf margin, peltate central base, and major primary veins. Scale bar = 1 cm. Figure 7d, Wang and Dilcher 2006. 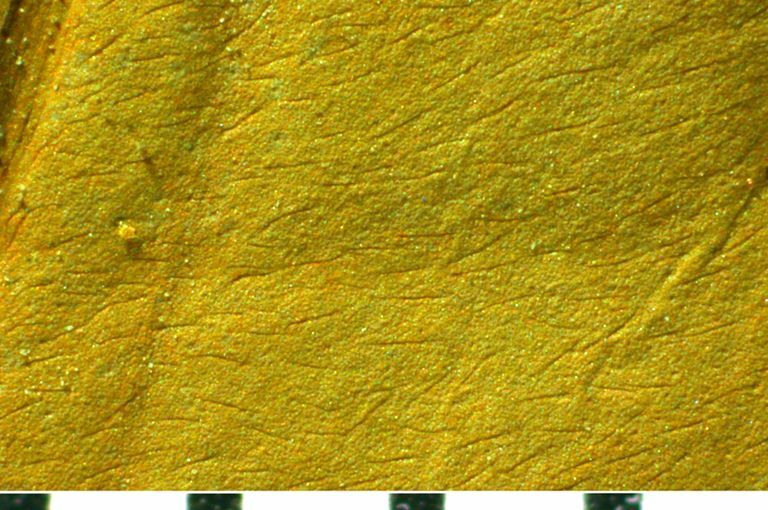 Young leaf of Aquatifolia fluitans Wang and Dilcher, an aquatic angiosperm leaf from the Hoisington III locality, Kansas. UF15706-8263. Note the spherical float on the petiole. Scale bar = 1 cm. Figure 1a, Wang and Dilcher 2006. Vitaceae (Grape family): Ampelocissus parvisemina Chen and Manchester from the Paleocene of Beicegal Creek, North Dakota, UF 18972–34705, Holotype Scale bar = 2 mm, as discovered still in matrix (upper left), in transverse section (upper right), and extricated from matrix, viewed ventrally (lower left) and dorsally (lower right). Figure 8, Chen and Manchester 2007. Vitaceae (Grape family): Ampelocissus auriforma Manchester from the Middle Eocene Clarno Formation, Oregon. 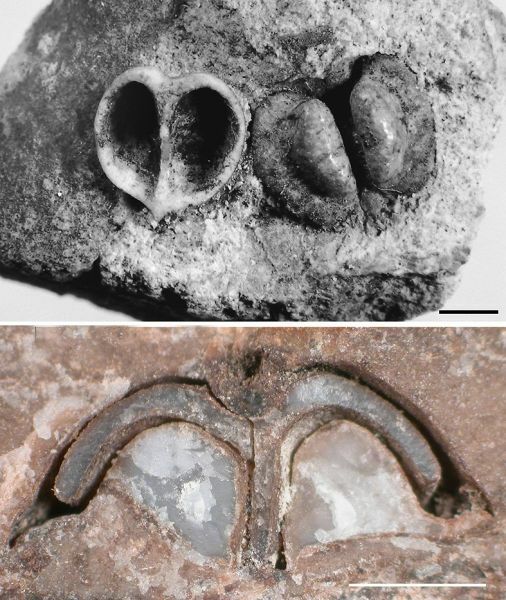 (top: UF 225-6572, holotype, cast and mold of seed Bottom: UF 225-9524, seed in cross section showing large ventral infolds. Clarno Nut Beds, Oregon (Middle Eocene). Figure 8, Chen and Manchester 2007. Lanagiopollis sp. cf. Lanagiopollis crassa type of Frederiksen., UF 18200 – 34219, Plate2, figure1 in David M. Jarzen and David L. Dilcher. 2006. 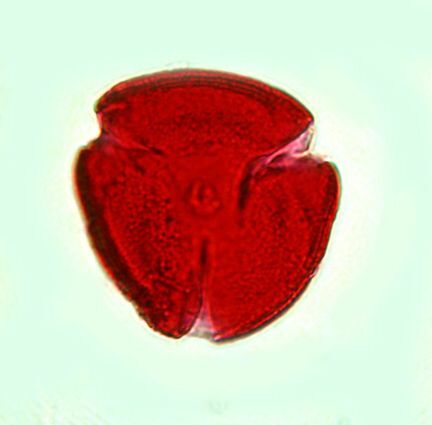 Middle Eocene Terrestrial Palynomorphs from the Dolime Minerals and Gulf Hammock Quarries, Florida, U.S.A. Palynology, 30: 89-110.
cf. Choanopollenites sp., UF 18139-43421, Plate 1, figure 15 in David M. Jarzen and David L. Dilcher. 2006. 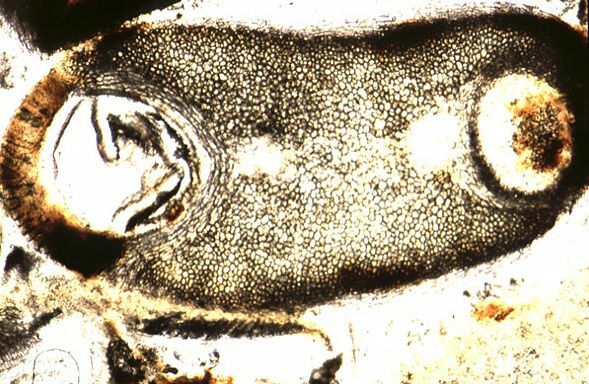 Middle Eocene Terrestrial Palynomorphs from the Dolime Minerals and Gulf Hammock Quarries, Florida, U.S.A. Palynology, 30: 89-110. 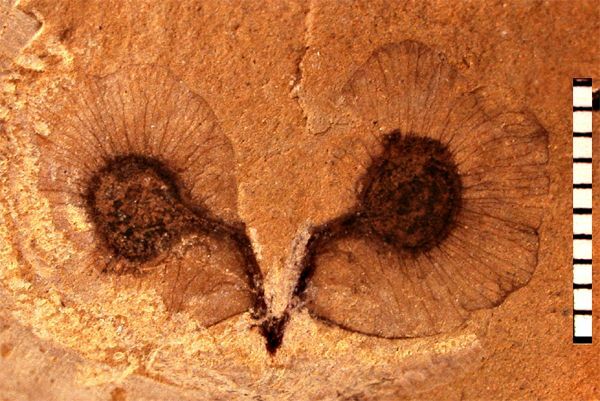 Momipites coryloides, UF 18200-34219. Plate 1, figure 8 in David M. Jarzen and David L. Dilcher. 2006. Middle Eocene Terrestrial Palynomorphs from the Dolime Minerals and Gulf Hammock Quarries, Florida, U.S.A. Palynology, 30: 89-110. 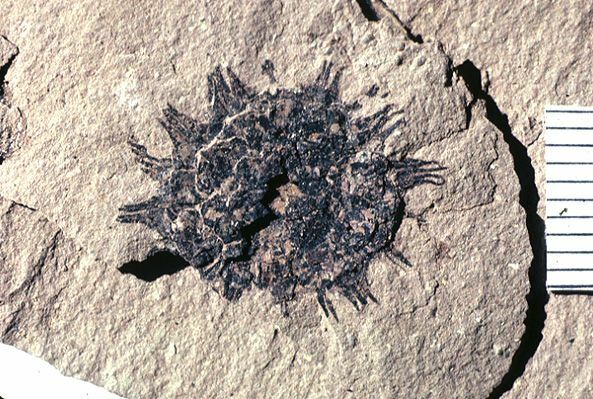 Caryapollenites sp., UF 18200-34219. Plate 1, figure 6 in David M. Jarzen and David L. Dilcher. 2006. Middle Eocene Terrestrial Palynomorphs from the Dolime Minerals and Gulf Hammock Quarries, Florida, U.S.A. Palynology, 30: 89-110. 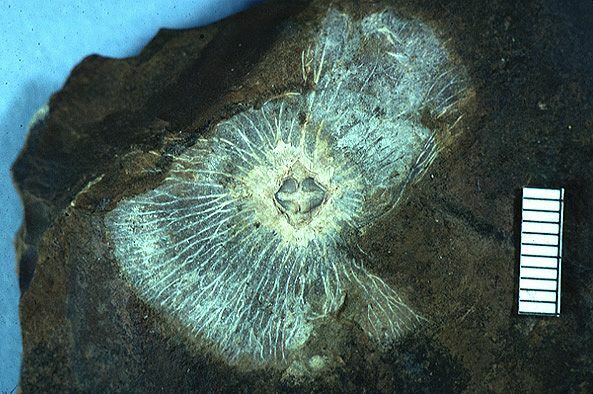 Spinozonocolpites echinatus, UF 18200-34219. Plate 1, figure 5 in David M. Jarzen and David L. Dilcher. 2006. 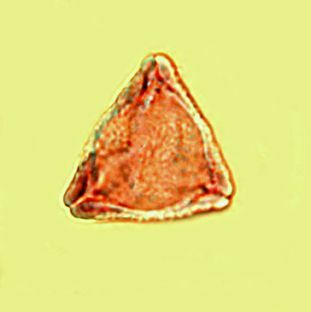 Middle Eocene Terrestrial Palynomorphs from the Dolime Minerals and Gulf Hammock Quarries, Florida, U.S.A. Palynology, 30: 89-110. Calyx with two enlarged fruit bodies of Chaneya tenuis (Lesquereux) Wang and Manchester, Fig. 2c (UF15800-20000) in Yufei Wang and S.R. Manchester. 2000. Chaneya, a new genus of winged fruits from the Tertiary of North America and eastern Asia. International Journal of Plant Science 16(1):167-178. Fossil fruit of Ailanthus confucii Unger from the Teater Road Locality, Oregon (UF00256-20704). 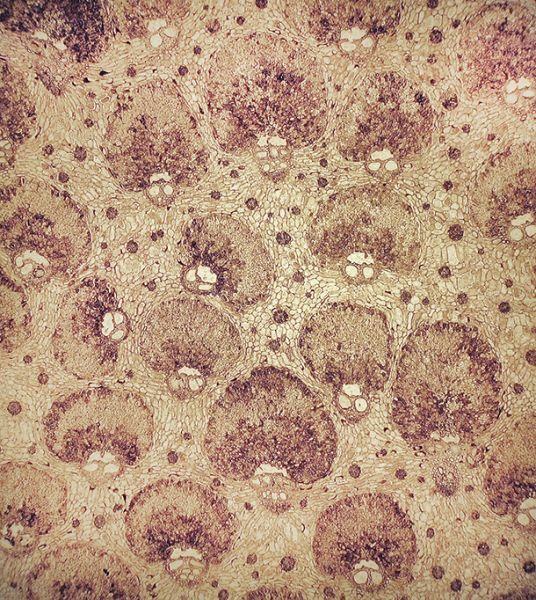 Figure 5M in Sarah L. Corbett and Steven R. Manchester. 2004. 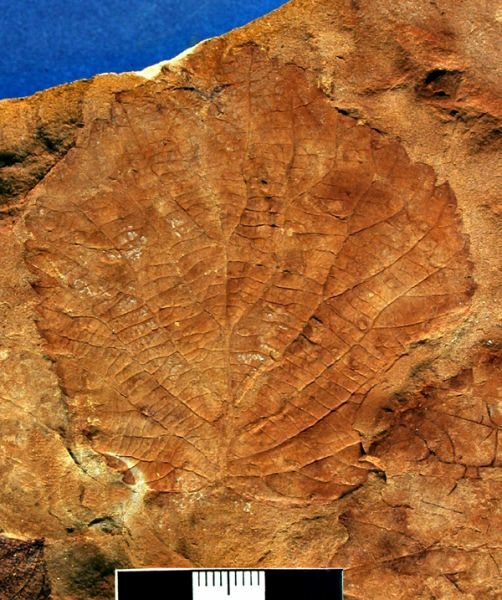 Phytogeography and Fossil History of Ailanthus (Simaroubaceae). International Journal of Plant Sciences 165(4):671-690. Davidia antiqua (Newb.) Manchester. 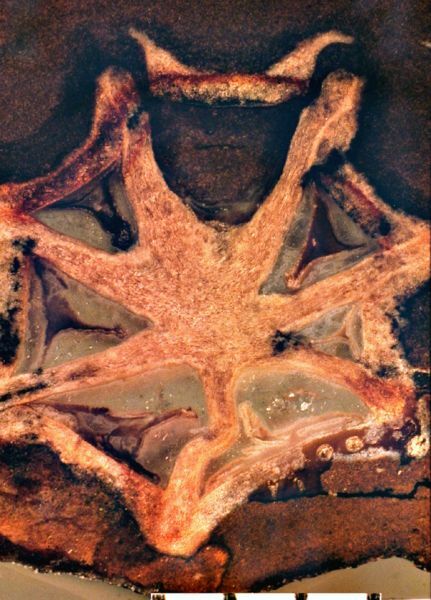 A transversely sectioned fruit from Almont, North Dakota (UF15722-22285) showing 7 single-seeded locules, the uppermost with its germination valve opened and filled with sediment. Figure 6B in Manchester, S . R. 2002. 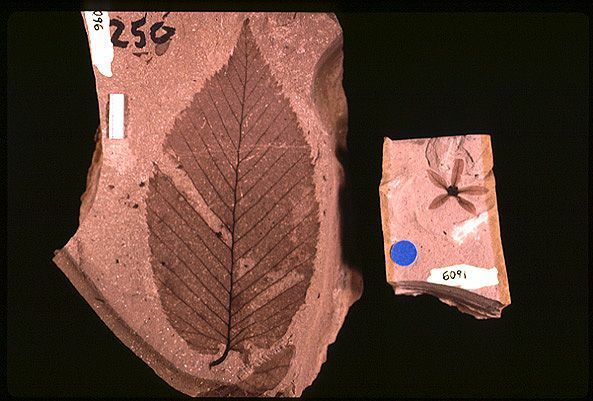 Leaves and fruits of Davidia (Cornales) from the Paleocene of North America. Systematic Botany 27(2): 368-382. Davidia antiqua (Newb.) Manchester. 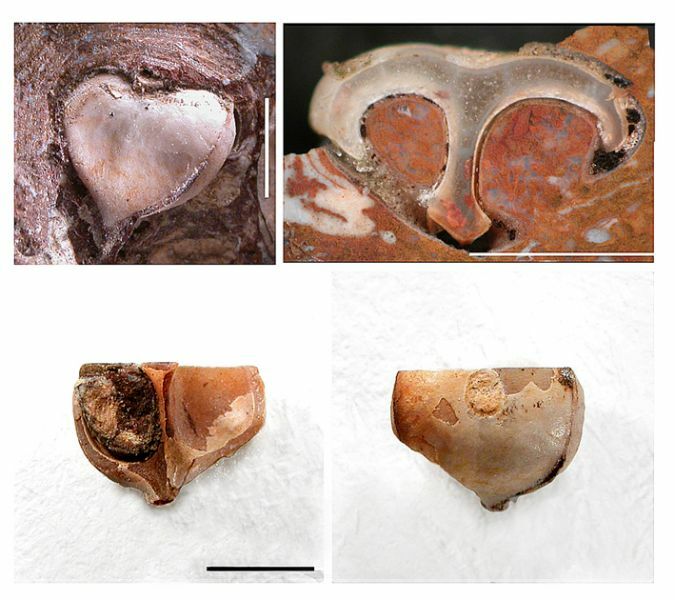 Left – fruit with a surrounding flange of softer tissue, and an apical style, UF 33593; Right – fruit impression showing longitudinal grooves which represent ridges on the original endocarp, darker part at periphery interpreted as remains of meso- and epicarp, UF 33590′. Figure 4D and 4E in Manchester, S . R. 2002. 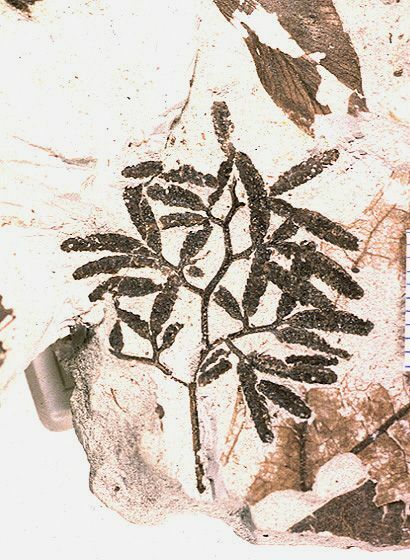 Leaves and fruits of Davidia (Cornales) from the Paleocene of North America. Systematic Botany 27(2): 368-382. Davidia antiqua (Newb.) Manchester. Fruit attached laterally to a head with a long peduncle. Little Bitter Creek Road, Wyoming (locality UF 18811), UF 33589. Figure 4C in Manchester, S . R. 2002. 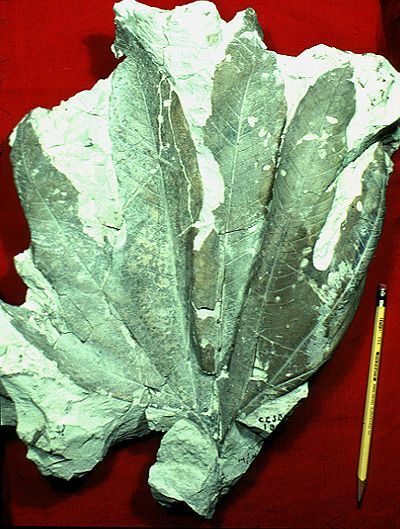 Leaves and fruits of Davidia (Cornales) from the Paleocene of North America. Systematic Botany 27(2): 368-382. Davidia antiqua (Newb.) Manchester. 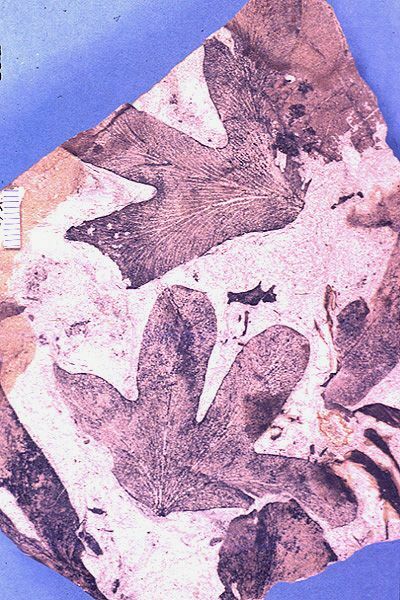 Leaf impression, showing nearly orbicular shape, cordate base, regularly spaced teeth, successive marginal branches of the lower pairs of secondary veins, and percurrent tertiary veins. Little Bitter Creek Road, Wyoming (locality UF 18811), UF 33588. Figure 4A in Manchester, S . R. 2002. 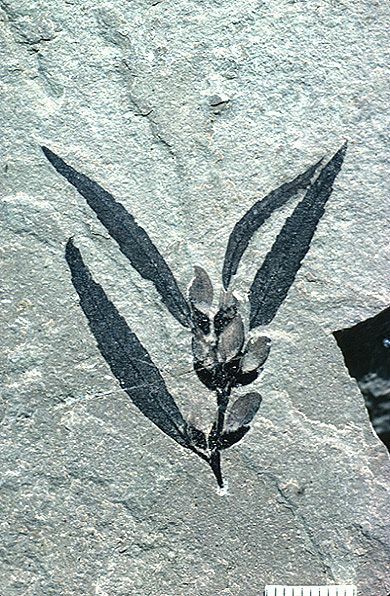 Leaves and fruits of Davidia (Cornales) from the Paleocene of North America. Systematic Botany 27(2): 368-382. 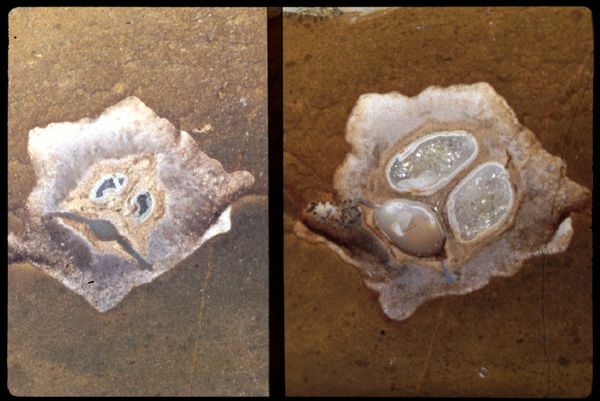 Enlargement of “Araliaceous infructescence of globose heads,” from the late Eocene of Florissant, Colorado: UF 18722-30277. 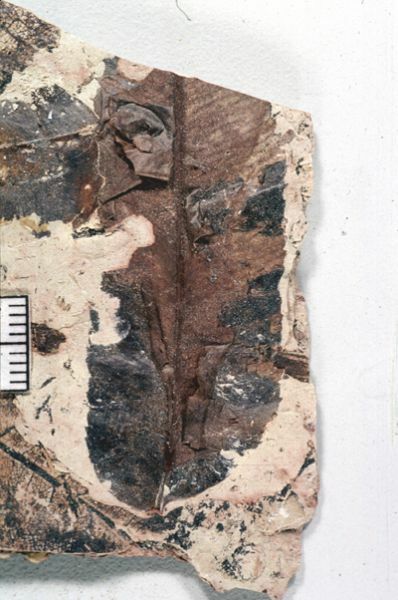 This specimen was collected and donated by George Hecht, and was figured as Plate 3, fig. 3 in Manchester, S.R. 2001. Update on the megafossil flora of Florissant, Colorado. Proceedings of the Denver Museum of Nature & Science, Series 4, Number 1, pp.137-161. 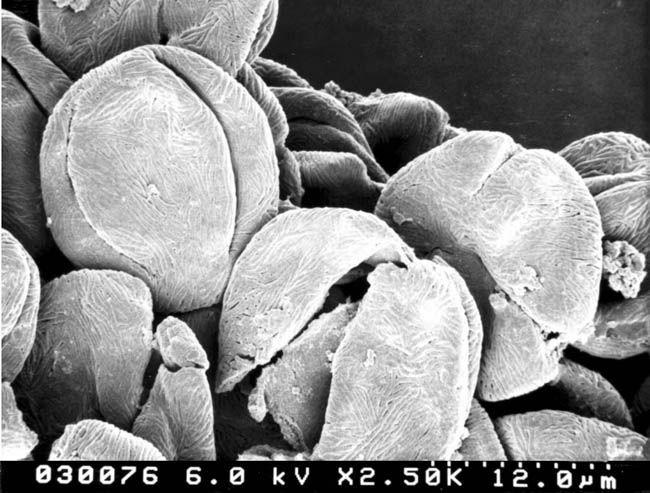 “Araliaceous infructescence of globose heads,” from the late Eocene of Florissant, Colorado: UF 18722-30277. 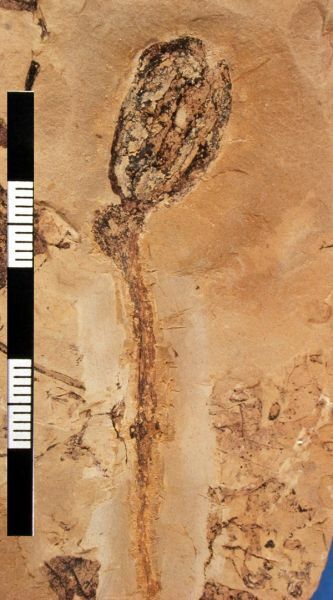 This specimen was collected and donated by George Hecht, and was figured as Plate 3, fig. 3 in Manchester, S.R. 2001. Update on the megafossil flora of Florissant, Colorado. Proceedings of the Denver Museum of Nature & Science, Series 4, Number 1, pp.137-161. Dipteronia brownii McClain & Manchester. Mericarps from Teater Road, Oregon, UF 00256-20862. Figure 25 in McClain, A.M. & Manchester, S.R. 2001. Dipteronia (Sapindaceae) from the Tertiary of North America and implications for the phytogeographic history of the Aceroideae. American Journal of Botany 88(7):1316-1325. Dipteronia brownii McClain & Manchester. Incompletely detached mericarps from Sumner Spring, Gray Butte, Oregon, UF 00283-31375. Figure 20 in McClain, A.M. & Manchester, S.R. 2001. Dipteronia (Sapindaceae) from the Tertiary of North America and implications for the phytogeographic history of the Aceroideae. American Journal of Botany 88(7):1316-1325. Landeenia aralioides (MacGinitie) Manchester & Hermsen. 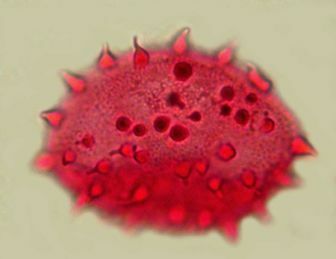 Pollen from Landeenia stamens. 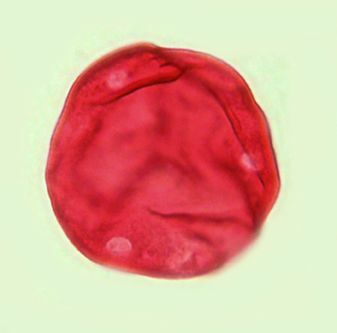 Clump of pollen from flower (UF26703) , showing approximately circular polar and equatorial profiles of the pollen grains. Figure 23 in Manchester, S. R. and E. J. Hermsen. 2000. 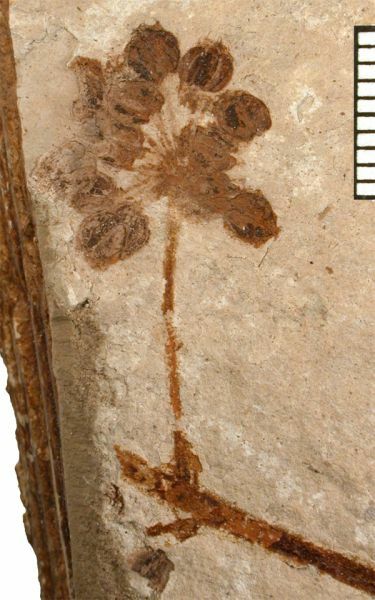 Flowers, fruits, seeds, and pollen of Landeenia gen. nov., an extinct sapindalean genus from the Eocene of Wyoming. American Journal of Botany 87(12):1909-1914. Landeenia aralioides (MacGinitie) Manchester & Hermsen. Flower showing five sepals, rounded gynoecium, and several anthers. UF22592. Figure 15 in Manchester, S. R. and E. J. Hermsen. 2000. 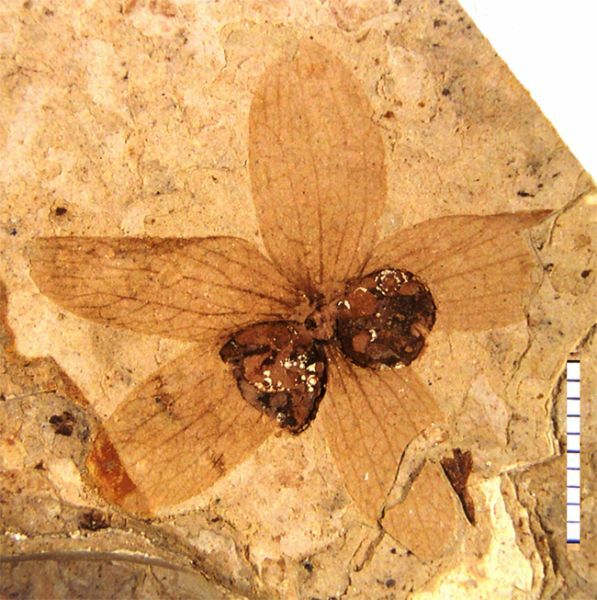 Flowers, fruits, seeds, and pollen of Landeenia gen. nov., an extinct sapindalean genus from the Eocene of Wyoming. American Journal of Botany 87(12):1909-1914. Landeenia aralioides (MacGinitie) Manchester & Hermsen. Scattering of fruits preserved in various orientations, UF22618. Figure 3 in Manchester, S. R. and E. J. Hermsen. 2000. 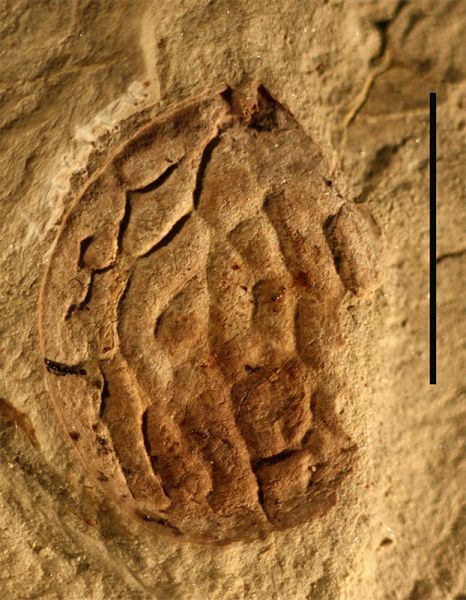 Flowers, fruits, seeds, and pollen of Landeenia gen. nov., an extinct sapindalean genus from the Eocene of Wyoming. American Journal of Botany 87(12):1909-1914. Landeenia aralioides (MacGinitie) Manchester & Hermsen. 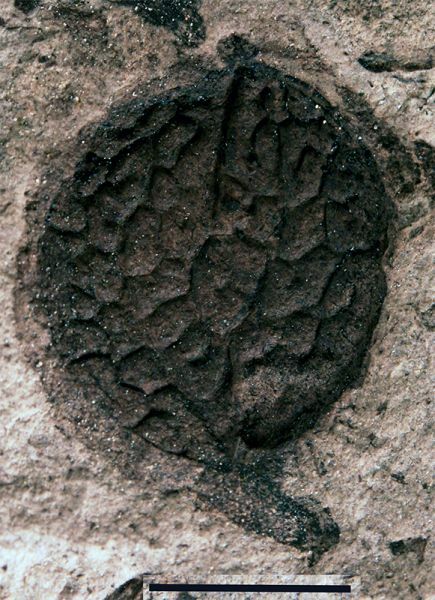 Cyme of two fruits (most likely incomplete), showing calyx remnants and protruding style, UF22626. Figure 6 in Manchester, S. R. and E. J. Hermsen. 2000. 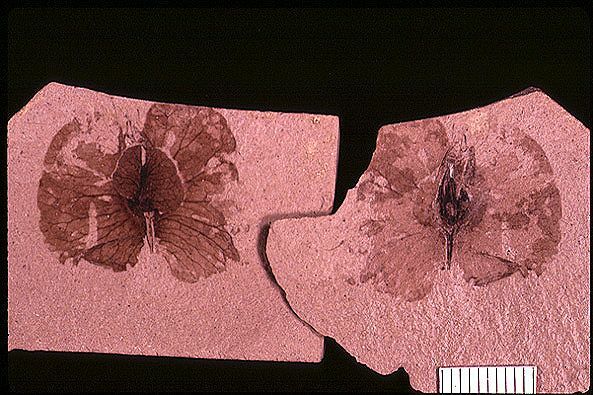 Flowers, fruits, seeds, and pollen of Landeenia gen. nov., an extinct sapindalean genus from the Eocene of Wyoming. American Journal of Botany 87(12):1909-1914. 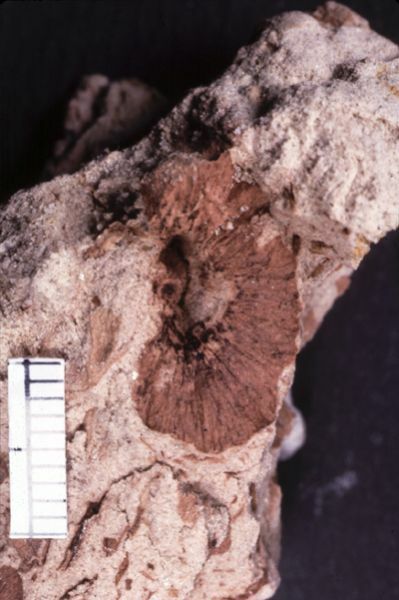 Amersinia obtrullata Manchester, Crane & Golovneva fruit from the Paleocene of Almont, North Dakota. Figure 4.29 and 4.30 in Manchester, S.R., P.R. Crane & L.B. Golovneva, 1999. An extinct genus with affinities to extant Davidia and Camptotheca (Cornales) from the Paleocene of North America and eastern Asia. International Journal of Plant Science 160(1):188-207. Eostangeria pseudopteris Kvacek & Manchester. Leaflet with cuticle. 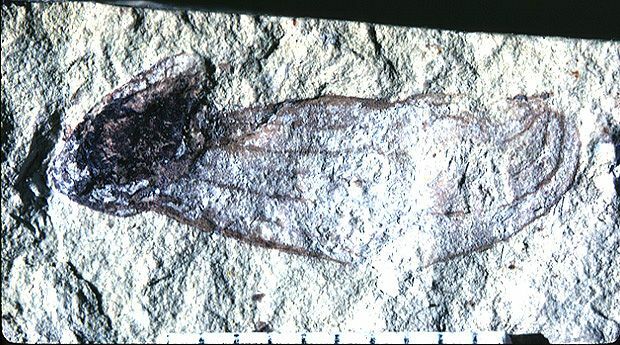 HOLOTYPE from the Paleocene of Little Bitter Creek, Wyoming. Figure 1A in Kvacek, Z. & S.R. Manchester, 1999. 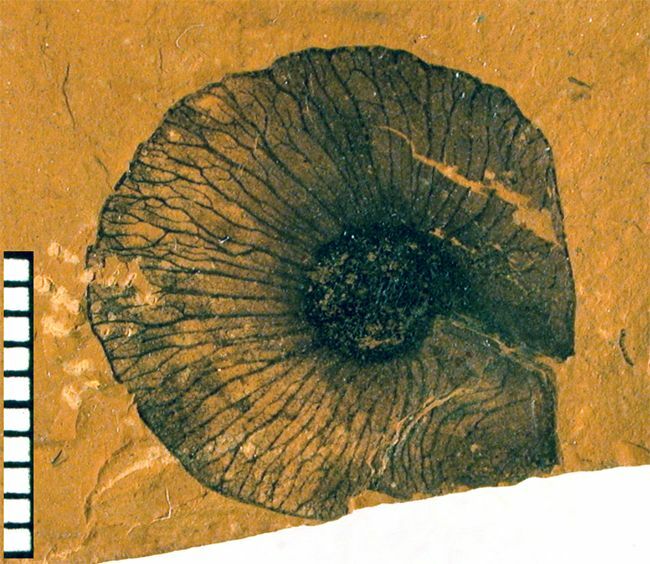 Eostangeria Barthel (Extinct Cycadales) from the Paleogene of Wester North America and Europe. International Journal of Plant Science 160(3):621-629. Paliurus (Rhamnaceae) fruit impression from the Middle or Upper Miocene, Alum Bluff, Florida. Figure 9C in Manchester, S.R. 1999. Biogeographic relationships of North American Tertiary Floras. Annals of the Missouri Botanical Garden 86:472-522. Buzekia tertiaria (Weyland) Manchester from the middle Miocene of Oviatt Creek flora, Idaho. Figure 16B in Manchester, S.R. 1999. Biogeographic relationships of North American Tertiary Floras. Annals of the Missouri Botanical Garden 86:472-522. Hypotype of Acer idahoensis Wolfe & Tanai. Plate 5, figure 7 in Axelrod, D.I. 1998. The Oligocene Haynes Creek Flora of Eastern Idaho. University of California Publications, Geological Sciences 143:1-99. Hypotype of Mahonia simplex (Newberry)Arnold. Plate 8, figure 4 in Axelrod, D.I. 1998. The Oligocene Haynes Creek Flora of Eastern Idaho. University of California Publications, Geological Sciences 143:1-99. Hypotype of Acer salmonensis Wolfe & Tanai. Plate 5, figure 1 in Axelrod, D.I. 1998. 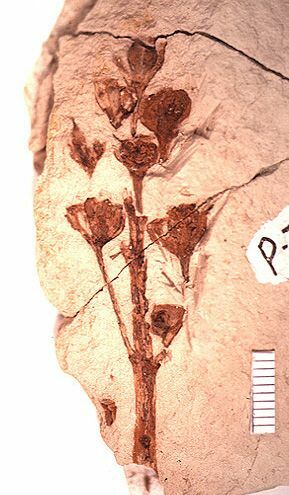 The Oligocene Haynes Creek Flora of Eastern Idaho. University of California Publications, Geological Sciences 143:1-99. 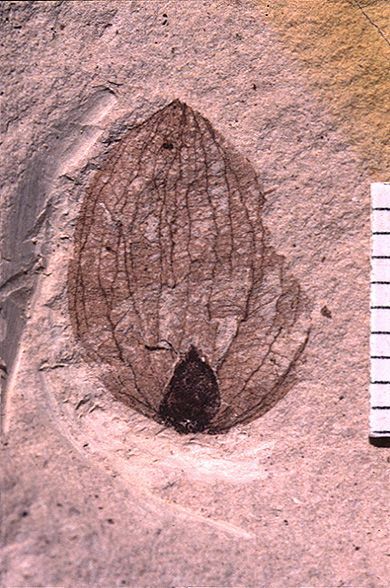 Holotype of Cunninghamia marquettii Axelrod. Plate 2, figure 9 in Axelrod, D.I. 1998. The Oligocene Haynes Creek Flora of Eastern Idaho. University of California Publications, Geological Sciences 143:1-99. 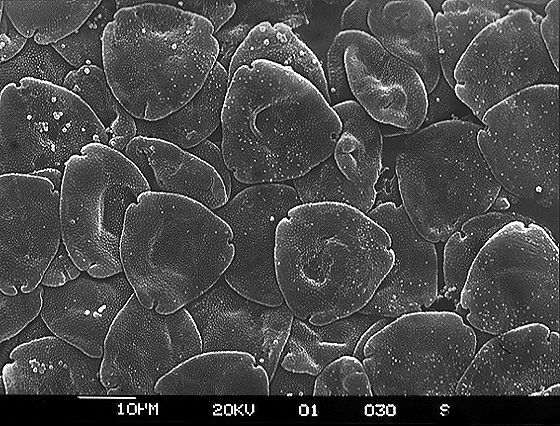 Pollen from the anthers of fossil catkin associated with Polyptera manningii. Figured in Manchester, S.R. and D.L. Dilcher. 1997. Reproductive and vegetative morphology of Polyptera (Juglandaceae) from the Paleocene of Wyoming and Montana. American Journal of Botany 84:649-663. Staminate catkin associated with Polyptera manningii. Figured in Manchester, S.R. and D.L. Dilcher. 1997. Reproductive and vegetative morphology of Polyptera (Juglandaceae) from the Paleocene of Wyoming and Montana. American Journal of Botany 84:649-663. Juglandiphylloides glabra Figured in Manchester, S.R. and D.L. Dilcher. 1997. Reproductive and vegetative morphology of Polyptera (Juglandaceae) from the Paleocene of Wyoming and Montana. American Journal of Botany 84:649-663. Polyptera manningii fruit. Figured in Manchester, S.R. and D.L. Dilcher. 1997. 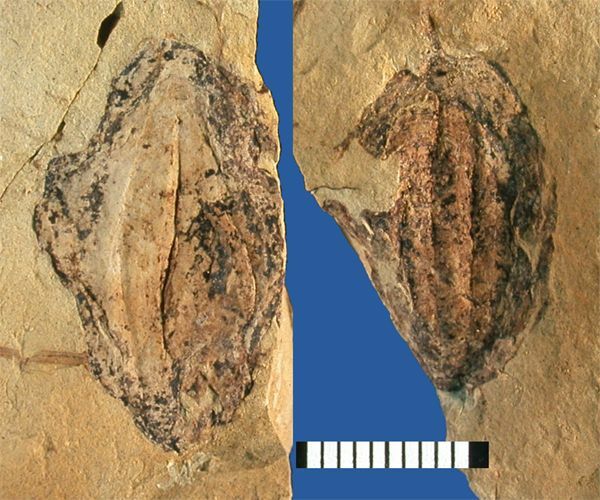 Reproductive and vegetative morphology of Polyptera (Juglandaceae) from the Paleocene of Wyoming and Montana. American Journal of Botany 84:649-663. Ostrya oregoniana fruit. Figured in Meyer, H.W. and S.R. Manchester. 1997. The Oligocene Bridge Creek flora of the John Day Formation, Oregon. University of California Publications in Geological Science. 141:1-195; 75 plates. Infructescence of Trochodendron sp. Figure 29 in Manchester, S.R., P.R. Crane and D.L. Dilcher 1991. 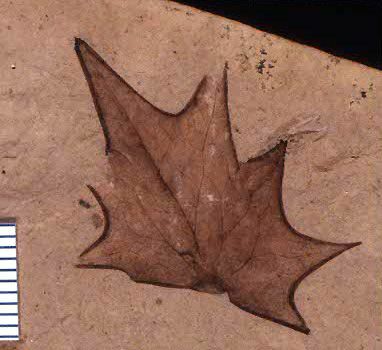 Nordenskioldia and Trochodendron (Trochodendraceae) from the Miocene of northwestern North America. Botanical Gazatte 152:357-368. Correction: this is from Emerald Creek (UIMM loc P37)–Not Clarkia as stated in the figure caption. Manchester, S.R. 1991. 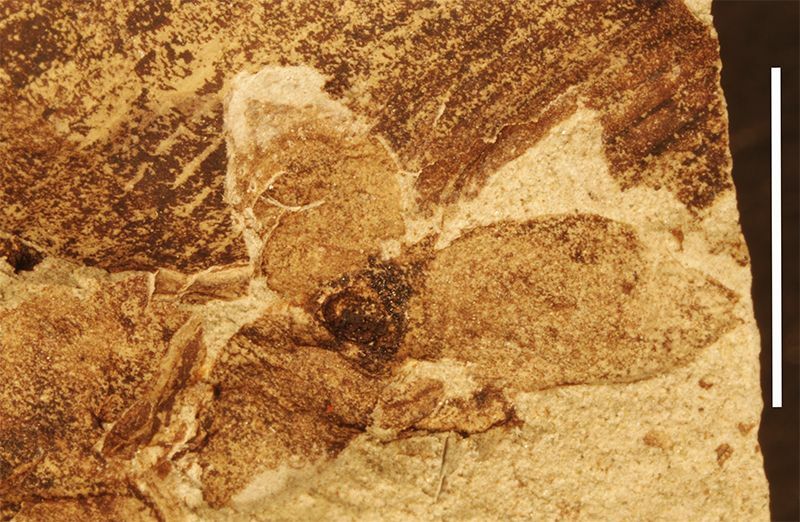 Cruciptera, a new juglandaceous winged fruit from the Eocene and Oligocene of western North America. Systematic Botany 16:715-725. Bract of Tilia pedunculata. Figure 15 in Manchester, S.R. 1994. 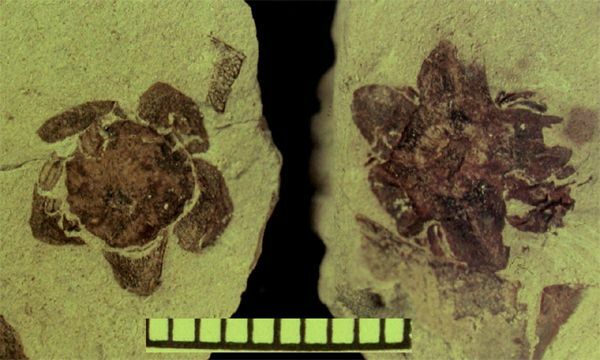 Inflorescence bracts of fossil and extant Tilia in North America, Europe and Asia: patterns of morphologic divergence and biogeographic history. American Journal of Botany. 81:1176-1185. 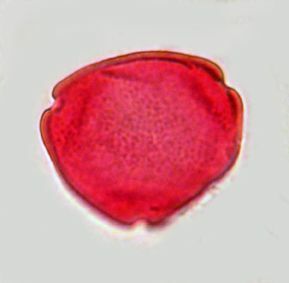 Diplodipelta miocenica (Berry). Figures 19 & 20 in Manchester, S.R. and M. Donoghue. 1995. Winged fruits of Linnaeeae (Caprifoliaceae) in the Tertiary of western North America: Diplodipelta gen. nov. International Journal of Plant Sciences 156:709-722. 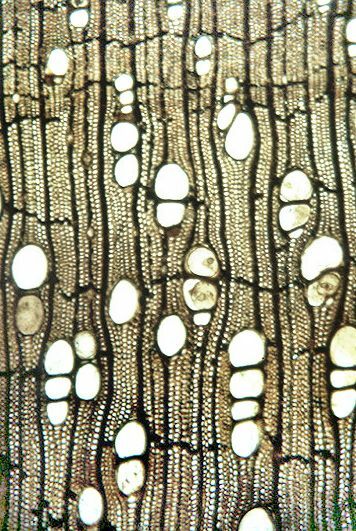 Clarnoxylon blanchardii wood, cf. figure 1 in Manchester, S.R. and E.A. Wheeler. 1993. 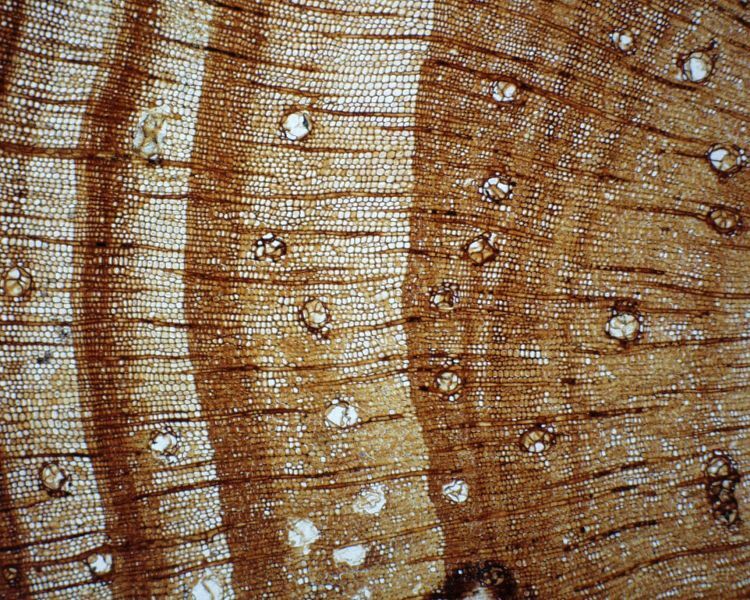 Extinct juglandaceous wood from the Eocene of Oregon and its implications for xylem evolution in the Juglandaceae. 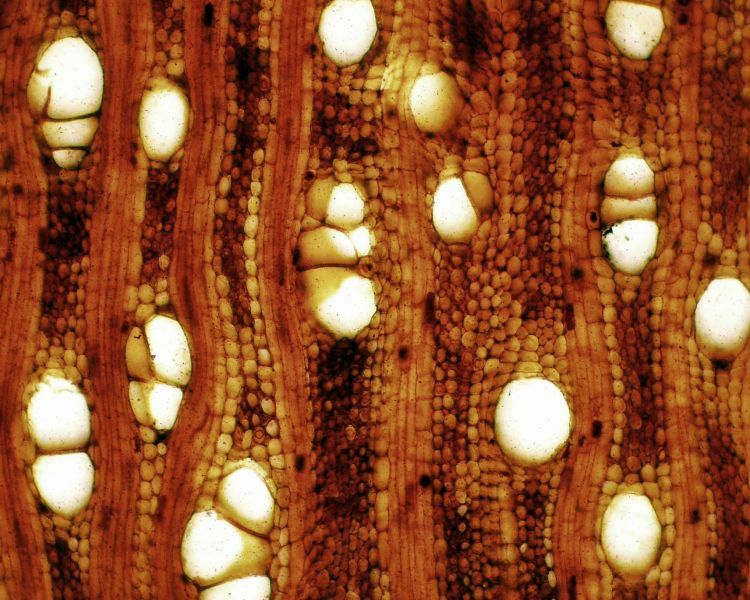 International Association of Wood Anatomists Journal 14:103-111. Fruit of Cyclocarya brownii. Figure 2 in Manchester, S.R. and D.L. Dilcher. 1982. 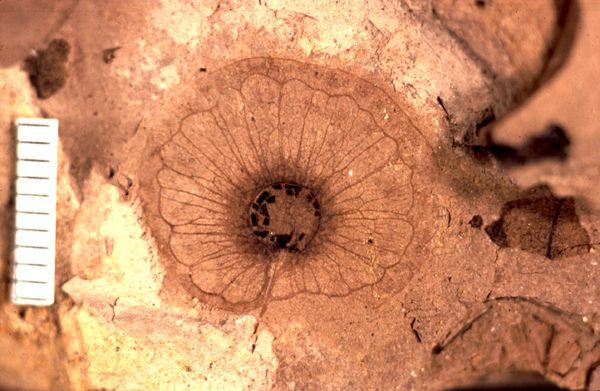 Pterocaryoid fruits (Juglandaceae) in the Paleocene of North America and their evolutionary and biogeographic significance. American Journal of Botany 69(2):275-286. Twig showing attached leaves and winged fruits of Cedrelospermum. Figure 2 in Manchester, S.R. 1989. 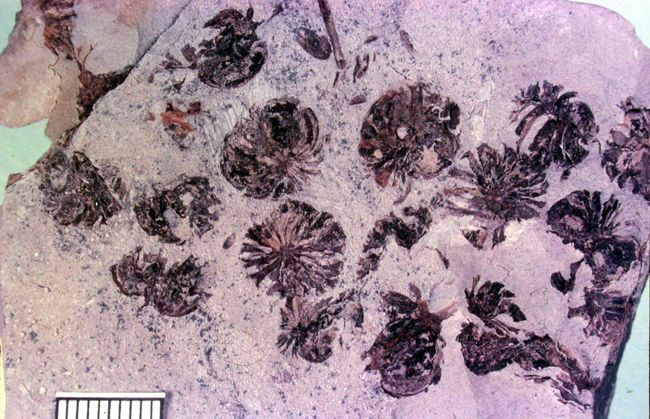 Attached reproductive and vegetative remains of the extinct American-European genus Cedrelospermum (Ulmaceae) from the Early Tertiary of Utah and Colorado. American Journal of Botany 76:256-276. Correction: The correct citation of this is Cedrelospermum nervosum (Newberry) Manchester, not C. nervosum (Cockerell) Manchester as indicated in the figure caption. 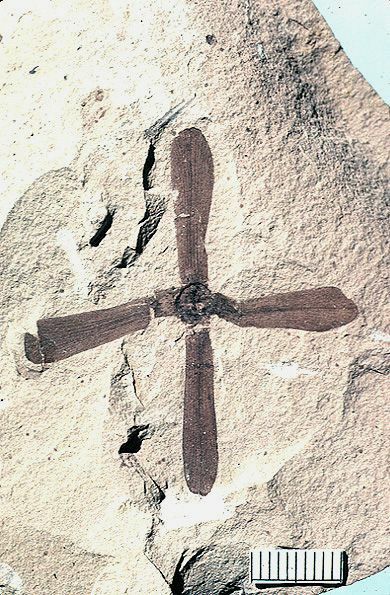 (This is also figure 12.6A in Manchester 1989, systematics and fossil history of the Ulmaceae). 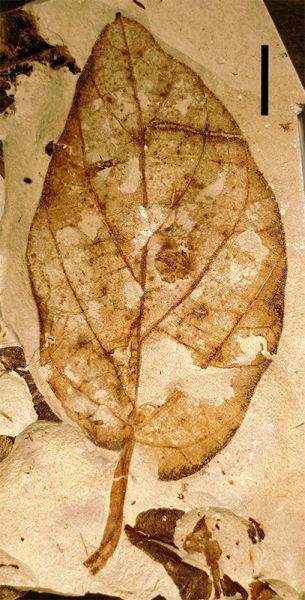 Extinct Betulaceae: Leaf of Paracarpinus chaneyi, and winged fruit of Asterocarpinus perplexans. Figures 5 & 26 in Manchester, S.R. and P.R. Crane. 1987. 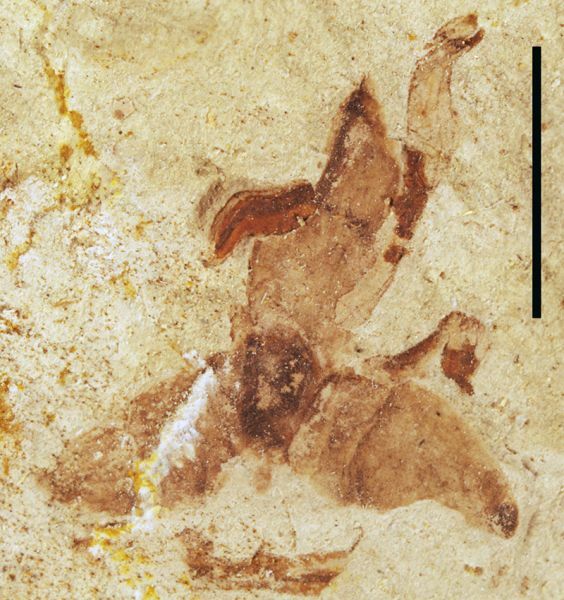 A new genus of Betulaceae from the Oligocene of western North America. Botanical Gazette 148:263-273. Fertile leaf of Lygodium kaulfussi. Figure 6 in Manchester, S.R. and M.S. Zavada 1987. 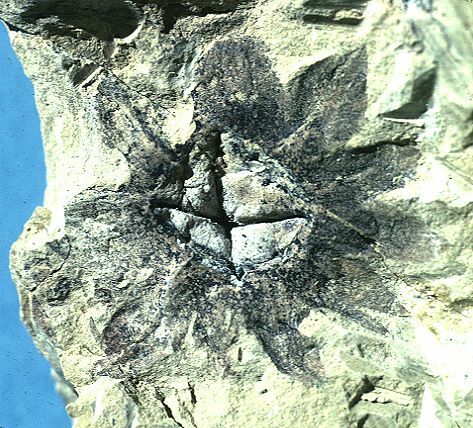 Lygodium foliage with intact sporophores from the Eocene of Wyoming. Botanical Gazette 148:392-399. Sterile leaves of Lygodium kaulfussi. Figure 3 in Manchester, S.R. and M.S. Zavada 1987. 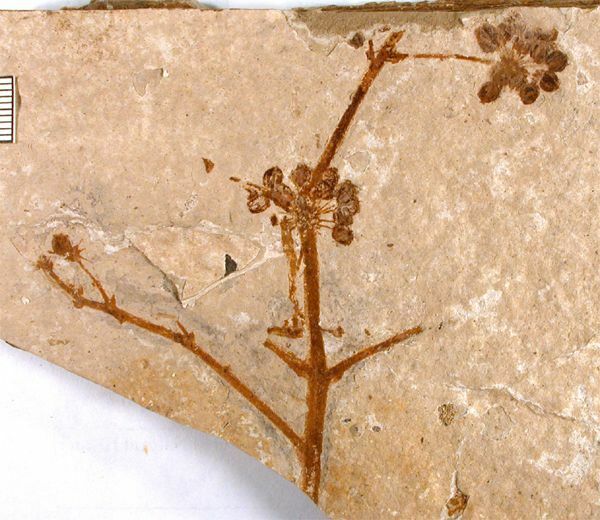 Lygodium foliage with intact sporophores from the Eocene of Wyoming. Botanical Gazette 148:392-399. Manchester, S.R. 1987. Figure 8 in Manchester, 1987. Extinct ulmaceous fruits from the Tertiary of Europe and western North America. 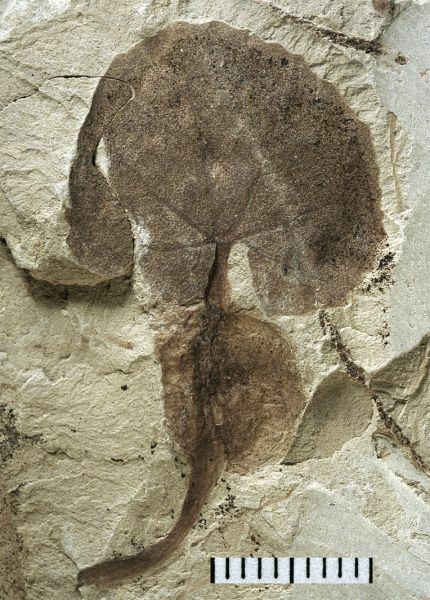 Review of Palaeobotany and Palynology 52:119-129. Infructescence of Macginicarpa glabra. Figure 27 in Manchester, S.R. 1986. Vegetative and reproductive morphology of an extinct plane tree (Platanaceae) from the Eocene of western North America. Botanical Gazette 147:200-226. 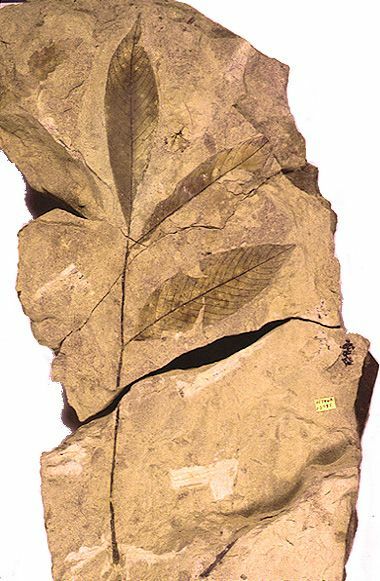 Leaf of Platanaceae, from the cover photo of Manchester, S.R. 1981. 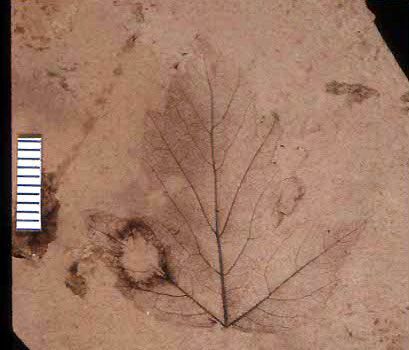 Fossil plants of the Eocene Clarno Nut Beds. Oregon Geology 43:75-81. 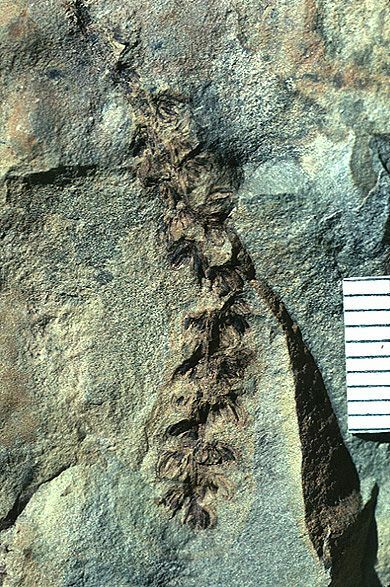 Later named Macginitiea angustiloba (Manchester, 1986). Pigg, K.B., R.A. Stockey and S.L. Maxwell. 1993. 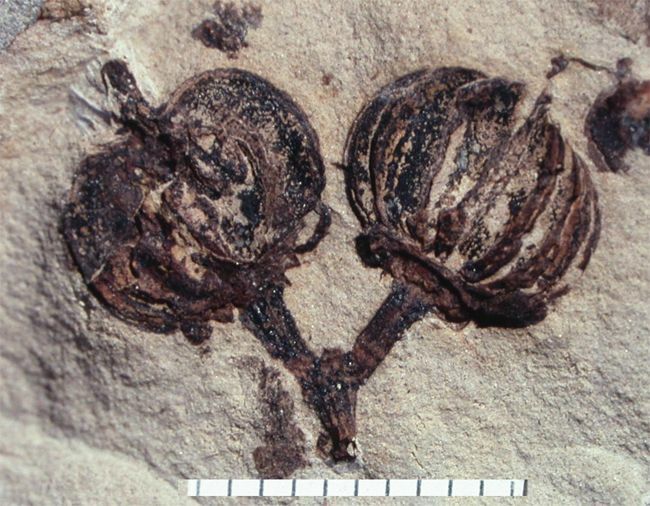 Paleomyrtinaea, a new genus of permineralized myrtaceous fruits and seeds from the Eocene of British Columbia and Paleocene of North Dakota. Canadian Journal of Botany 71:1-9.